Later this month we'll be leaving our current locale, Salt Lake City, and taking our recently-expanded family up to Seattle. My husband begins a new job there and we are excited for the opportunity to live in a city we already enjoy so much. Oh, and my sister lives there too--added bonus! I have a few questions for those of you who know Seattle well, either because you live there right now, have visited, or grew up there. Would you mind helping me out here and sharing some of your firsthand knowledge with me? It would be fantastic to have a head start. I'd love to know what your favorite towns and/or neighborhoods in the Seattle area are; also, what are your favorite haunts, shops, restaurants, treat spots and places of interest in the area? If you have elementary-aged children, a little info on the public schools wouldn't hurt either. Do tell if you would :) Merci in advance! p.s. if you have a lot to say and would rather send an email, please send it to: stephmodo@gmail.com. thanks! sending you an email... so exciting! My sister lives in Seattle, and we have been up many times to visit her. I've sent her this post, so she can comment herself- she's very "in the know" and will not hold back about all the best places you need to know about. From the little I know, Green Lake is a great little area to live, and Queen Anne is beautiful too! Freemont for amazing shopping. I'm jealous, what a fabulous city to explore! Yours Truly: Don't worry...I'll definitely stay connected to Utah. I think I should write a tidy post about my favorites in SLC before I go. What do you think about that idea? hi! blogstalker here. :) Congrats on the new job and baby! We currently live on the eastside of Seattle, in Redmond. We moved here from Provo about 5 years ago and LOVE it! Traffic can get a little scary, so if you like your husband, live as close to his work as possible. Oh and bring your rainboots. It's a gorgeous and fun place to live! Hi! We moved to Seattle from SLC about a year and a half ago. We love it. We live in Northeast Seattle, just North of UW. A tiny pocket called View Ridge (bordering Laurelhurst/Green Lake/Meadowbrook, Ravenna). We mainly chose this area to stay close to the hospital for my husband's work. I agree...be somewhat near your husband's work for traffic sake. My oldest JUST started all-day kindergarten and goes to a fantastic school (view ridge). But, not all schools around here are like that. I hear Bellevue's school district is amazing. The main tough thing for me has been adjusting to the lack of sun/light from about November to April...but then again, it stays pretty mild. I'm agreeing with others: live as close to your husband's work as you can. We live in Kirkland (Lake Washington SD). It's beautiful and diverse here. You're going to LOOOOVE it. wow, Stephanie. Congrats on the new job and new adventure! Moving with school-age kids is such a big job, but seattle will be so lucky to have you and your sweet family. best wishes as you make plans! I don't have any knowledge or experience with Seattle but I wanted to say good luck on the move and congrats! Sounds like an exciting adventure! Eastside has great schools and Sammamish is a very nice area w/ a reputable high school! Good luck on the hunt! Congrats on the exciting move!!! My sister-in-law lived on Bainbridge Island for 7 years and absolutely loved it. The schools are great and so is the community. Nice shops, grocery stores, restaurants and of course beautiful scenery. Of course, depending on where your husband is working this may be too long of a commute. Really Stephanie? Seattle?! That is my favorite city on Earth. My Grandma lived there and I would go up every year. Such wonderful memories there. I really need to take my girls before I pop out baby #3. So excited for you. Hey Stephanie - I have to throw my 2 cents in too! I currently live in Shoreline (same ward as Cher! ), but I grew up in Sammamish. I like it on the west side, but I LOVE the eastside! There's definitely a different "feel" over there...520 bridge into Seattle is a nightmare, but I-90 is usually do able, so if your hubby as to commute, Issaquah or Bellevue may be great places because they are close to I-90. Aside from that, you will love all the high end shopping all over Seattle! So many cute, quaint shops too...and I hope you like Thai food! (We miss Utah food!! Every time we go we have to get our fill because there's nothing close up here!). Good luck, you'll love it here! As a welcome gift to yourself, treat your family to a box of Fran's grey salt caramels! You guys are the best. Keep the comments and emails coming! All this excellent information you are sharing is helping me wrap my head around this move better. Thank you! hi there! I lived in Seattle for one year (from 08-09) for my job. I think it is a beautiful place to raise a family and foods are AMAZING!!! Personally I think you would enjoy living closer to downtown. Ballard, Capital Hills, Greenlake, Fremont are all FANTASTIC neighborhoods with unique personalities, great restaurants, pretty shops. I think you would also enjoy walkability in these neighborhoods. I lived in East Lake (between Capital Hills and Fremont... east of Lake Union) and worked in downtown and Everette. Commute was a breeze and I had an easy access to Freeway (very convenient). Now I am writing this... I miss it there! Oh and I totally agree with Brook! Delancey was amazing! Such a cute place. I am thankful everyday for living in a place of such natural beauty. I agree with many of the other comments, that to live close to where you work cuts out the only unpleasantness of this area. That being said, the bus system here on the Eastside (Redmond/Sammamish) is clean and efficient and makes my husbands commute a breeze. The elementary schools here are top notch, the library system is one of the best, and the parks and lakes are all well maintained and family friendly. woohoo! you'll LOVE it here - the most beautiful state :) that being said, I will echo the sentiments of many previous commenters and say that the eastside is great for kids, community activities, schools (bellevue and northshore districts are excellent - i've heard not so excellent things about seattle) and you're never too far from anything. Kirkland is a grown up chic-hip, Bothell is kitschy, Redmond is green and bike friendly, and Bellevue is incredibly diverse. Cheers and welcome!! I'm also a Utah girl who called Seattle home for 4 years, and to be honest I still miss it. It was a perfect fit for me in so many ways, if I could get my family to move with me I'd make it my home base again. I lived in West Seattle, which I loved and would recommend if you want to be close to the West Side, but still have a little neighborhood feel. I know more former Utahns (i.e. Mormons) live on the Eastside, which is gorgeous! But I loved life on my side of the lake. Drop me a line if you have specific questions, I hope you LOVE it. Welcome to my city!! I love Seattle. My favorite neighborhoods are Ballard for the relaxed vibe. There's the Ballard Locks which is a fun attraction, plus lots of little neighborhood sandwich shops, a great farmers market, and lots of chill, friendly people. West Seattle also has a great vibe, Alki beach is beautiful and it's a very family-oriented neighborhood. Lots of shops and restaurants and a fabulous French Bakery (Bakery Nouveau) on California Ave. I have so much more to write, but that's a start! email me with questions if you need more advice! Kerry Park on Queen Anne Hill = amazing. You get a better view than on top of the Space Needle!! My Pike Place Market faves: Flagship cheese at Beecher's Handmade Cheese and pain au chocolat at Le Painier Very French Bakery. We lived in Kent and were very happy there for several years. It's reasonably priced, good parks/libraries for children, and about 20-40 minutes southeast of the city, and you can take a commuter train into Seattle! - check out Kent Station and Historic Kent 1st Ave for fun local shops and restaurants. Exciting! My sister and her family live in West Seattle and they really enjoy the laid-back, neighborhoody feel. She used to live in Queen Anne and loved the accessibility to downtown. Both areas are great: full of restaurants, parks, shops, etc. I live over in Port Townsend and highly recommend it for a weekend trip! i grew up in kirkland and would probably agree that the eastside is a better choice for families and school districts. i had a really great public school experience in the lake washington school district, but it's been a while since i graduated, so i can't say what it's like now. i am really jealous of your move. hoping to end up back there myself. you will love the northwest! - Queen Anne: super quaint, close to downtown, amazing parks, Trader Joe's nestled in the neighborhood, views and the homes are adorable and pretty large. - Madrona: On the Lake Washington side, cute little downtown, cafe's, Madrona park is adorable beach front park. During Christmas all the boats put on lights on their boats and parade along the lake, very fun tradition if your in the area. - Green Lake: Very family friendly, farther from downtown, pretty busy though as Green Lake is pretty popular, smaller homes, cute little shops. Check out Spuds for the best fish'n'chips along the lake. - Phinney Ridge: Slightly above Green Lake, it's a quieter, smaller neighborhood, but close enough to enjoy the lake. Very cute downtown and would be my top pick if we still lived in Seattle. Enjoy, Seattle is a wonderful city! Queen Anne- I love my neighborhood! It is very family oriented and feels like a small town. The proximity to the city is fantastic! There are so many fun things right out my front door! 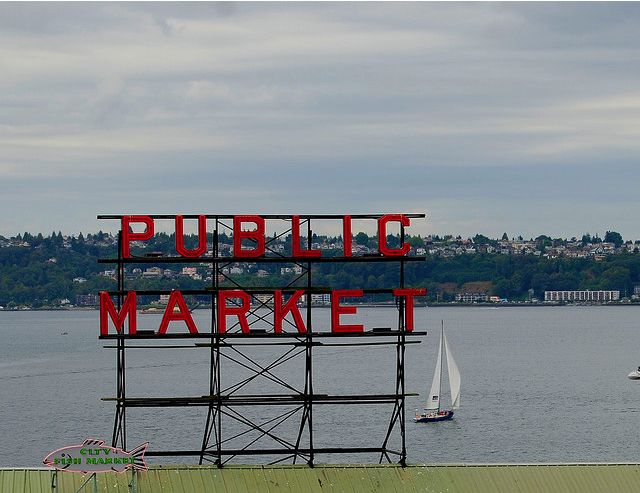 Farmers market, restaurants, and beautiful walks that have breathtaking views! The grade schools are fantastic and the middle school has improved greatly since they no longer bus kids in. Magnolia- Another great family oriented neighborhood. It also has fantastic parks and a great downtown strip. No quite as easily walkable as QA, but it has some amazing waterfront houses. Ballard- Is a very fun and exciting neighborhood! It probably has the best downtown out of all the neighborhood mentioned so far. My only complaint is the parking. It can be pretty tough if you are close to the downtown core! Madison Valley- Great downtown and beautiful houses. The traffic can be pretty insane and it gets cold fast. So hard to even list all the great restaurants!!! If you're looking to live near downtown or the U District, I love Green Lake! Such a charming area. You feel like you live in a small town, not a huge city. If you're interested in the burbs...Issaquah is great. Amazing schools. Friendly neighborhoods. Pretty quick to downtown, even in rush hour traffic. How fun to live near your sis! 1) you'll love the grocery stores! 3) Um, PaperSource is in Seattle! Cher told me you were going to be in our ward and just down the street from us. We're excited to meet you. I'll give you all the hot tips in person! Our babies can become fast friends. Good luck with the move and transition. We'll see you sooner than later hopefully! I grew up in Woodinville, Washington (Eastside by Redmond, Bellevue, etc.). It was the perfect place to live as a child. The school district (Northshore) is excellent, the drive to Seattle is only about 35-40 minutes (except in hairy traffic, which you will get used to), and the neighborhoods are nice and open. Oh, and King County has an absolutely fantastic library system. Even if you don't end up in Woodinville, you need to visit Molbaks, a garden/nursery store with so much eye-candy for adults and lots of fun for children, too, with free plays and crafts. Good luck with the move! I would be most delighted to tour-guide you to the best neighborhood(s), or at the very least- take you to the best bakeries, shops... and throw in a secret or two. First Congratulations! My favorite Seattle haunts are Alki Beach, Madison Park, Wallingford. When you have time, check out my post about Seattle. Welcome to Seattle! I live in Magnolia which is safe, quaint, beautiful, family friendly, and only a 5 min drive to busier city parts (Ballard, Queen Anne, Fremont, Downtown). Magnolia has a tiny little downtown where you get to know your neighborhood restaurant/bar and coffee shop owners by name. Plus, you have Discovery Park in your backyard, the most gorgeous views of Puget Sound! Congratulations! I know you will make the most of this newest adventure in your trademark style. And your sister lives there, too! What a nice bonus. I am so happy for you. I will look forward to reading posts from a new locale! Congratulations! You aren't kidding -- you have a LOT of major life changes all at once. You will love Seattle. There are so many good neighborhoods and areas. I grew up there, but I haven't lived there since college, but my family is still there. I will have my sister who lives up there and is well-versed in the schools take a look at this post. Traffic can be a bit of a nightmare, but there are so many other great things about it that you will love it! We will miss you here in Utah. Best of luck to you. I hope all goes well and you are able to adjust to all of the exciting changes! my hubby and i just moved to seattle (from utah) for law school. we live in west seattle and LOVE it! the commute to downtown is not bad, plus it's minutes away from the beach and the airport. we find it to be quite family friendly. i just dropped my husband off for a 6 month animation program, and he found a nice little place to rent in Magnolia. it was so quaint and pretty! also, Nyko's Gyros was in that hood- and it was THE BEST greek food i've ever tasted. good luck! and how exciting. Depends on what you want. The Sammamish Plateau is possibly the best place on earth to raise a family. I grew up in Utah, lived all over Seattle (Wallingford, Wedgwood, Freemont, Laurelhurst) while the kids were young. Now we live on the plateau and wouldn't live anywhere else. Bell Square is a short drive away and the school districts are superb. I saw your cute sister-in-law the other day & she told me the news! I am sad but I am sure you will love it there, when my sis lived there I LOVED to visit. Best of luck!! Sad to hear you'll be leaving the Salt Lake scene. You were a wonderful resource to many people here! what an exciting move! Issaquah is a very nice area if you want to be a little outside the city. Congrats! I was born and raised in Renton/Kent but I've been away so long I have no other pearls of wisdom for you. I'm sure you will soon be telling those of us who live here in Seattle all the cool things to do, eat, and experience. That's why we love you--you are in "the know." Looking forward to new ideas for this great city. Good luck with all. I'm so bummed that I met you right before you're moving, but I'm glad that I got to meet you! My sister moved from the Bay Area to Seattle last month. She has kids aged 5-11, and they chose a neighborhood in the corner of Bellevue that has Issaquah schools? I think? I'll have to send her to your post. There is a French immersion private school here on the Eastside!!! Also, there is a Spanish immersion public school, that is a lottery enrollment here in Bellevue, as well. We moved here to Bellevue from Texas back in May. We chose Bellevue because of the amazing public schools and wonderful location. We live near the 405/90 interchange. From our front door here in Bellevue to Pike Place in downtown Seattle is 15 minutes with no traffic. We love the HOV lanes, the trails that connect us to the entire Eastside, the variety of parks, the nearness of the mountains and the water. Best to you and your family on your move!!! you guys are moving to seattle? how lucky! that's where i'm from (well - mukilteo, 30 minutes north). the market is so touristy but so much fun! ballard is lovely and has fun shops. great dinner: serious pie (pizza) and icon grill for their hot fudge sundae. i would eat there nightly. will you be there for christmas? it is so pretty and the tree lighting is great for kid. oh - the gingerbread houses at the sheraton is great! ENJOY!! West Seattle (specifically 'Alki' neighborhood) is completely swoonworthy. Great little area. You'll fall in love instantly. YAY!! I don't live in Seattle but I'm excited for you. It's such a fun place to live. I'm up north in Bellingham! I grew up here and lived on North Capitol Hill in Seattle. It's beautiful with great elementary and private school options. As well don't rule out Queen Anne Hill in Seattle. It's chock full of cute kid shops a strong family community with well-supported schools and beautiful homes. It's minutes from everything in Seattle. The people there will really resonate and embrace your blog! It fits Queen Anne to a 'T'. hooooray!!! I'm from Washington so of course I adore Seattle! I'm so jealous! written by Molly Wizenburg, who lives in Seattle and she and her husband run Delancy's, a supremely awesome restaurant that you simply MUST go to. Me and My husband went to Seattle and Victoria Island for our honeymoon and I swear I'd move in an instant if it were possible. So jealous. West Seattle is a great, clean neighborhood. It feels less crowded - anytime I drive to other neighborhoods, the traffic gets to me. Alki beach is a sandy beach with a few miles of walking path and lots of restaurants. Lincoln Park is a gorgeous wooded beach and has a mile-long walking path. My husband works downtown 5 miles away and he commutes on his bike, even in the rain. Just a tip: I take a daily dose of 4000 IU of Vitamin D in the winter (2000 IU in the summer). Everyone here is deficient in Vit. D.
all those comments were so helpful for me! i just moved to crown hill (by ballard) a month ago and am exploring myself! can't wait to see your many seattle posts to come. Do not miss a trip to my favorite spice shop: World Spice located in Pike Place. Their madras curry blend is outstanding, and their herbal chai is perfection. I feel just like you. I'm also moving to Seattle and I think I've gone a little crazy. I love the area but know nothing about it! Thank you to all these lovely women who've shared info on schools and wards and safe neighborhoods. You've given me some hope when I was feeling excited but disconnected. I am rather looking forward to being near all these incredible women. :) Thank you! I hope you still read these comments, as I just found your blog. I'm not sure what neighborhood you ended up in but I live in the Northeast section of Seattle (like someone above - View Ridge/Ravenna/Wedgwood area). It's so wonderful for kids and still in the city. I don't have kids yet but will soon and we're looking to buy in this neighborhood too. Good luck and I hope you and your family love it. Here are a few of my suggestions: Sand Point/Magnuson Park has parks, boat rentals, etc (and the twice a year library sale!). Great Harvest Bread (the chain) has a few Seattle locations. 3 words: Caramel Apple Bread. Bakery Nouveau in West Seattle (as people have mentioned) is wonderful. The Seattle Aquarium is a great way to spend a rainy day. The zoo here, Woodland Park Zoo is also great. Pagliacci, the pizza chain is great for kids, but so is Tutta Bella (a few around town). Half Priced Books and Third Place books and frankly, the library system is wonderful. Okay. Peaks frozen custard (AMAZING). I'll be done now. Have fun! Hugs and kisses to you all. Thank you, thank you, thank you! Now that I'm coming up for air, you must know how much I appreciated and consulted your advice. You are the best!